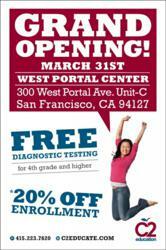 C2 Education West Portal Grand Opening Events from March 31st to April 30th. You may receive up to 20% off the price of enrollment and kids that are in grades 4 and up will receive a Free Diagnostic Test. "We want to help our students to love learning simply for the sake of learning," says the Founder, David Kim, "To become open-minded and creative individuals with the capacity for innovation, and to learn the importance of involvement and leadership." The students of Lowell High School, the top ranked high school in San Francisco, have long been anticipating the prospect of a quality educational center in their area. C2 Education, the nation’s fastest growing network of education support centers, is proud to announce the grand opening of a brand new location at 300 West Portal Ave. in San Francisco, CA on Saturday, March 31st. Grand Opening events will be held from March 31st through April 30th and will include promotions for new students. C2 Education Centers, Inc. was founded in 1997 based on home-tutoring services in Cambridge, Massachusetts. 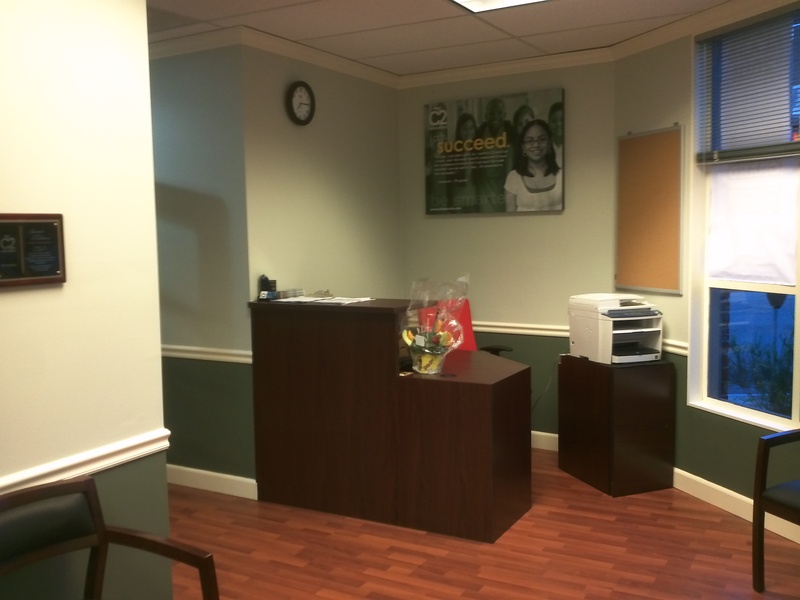 In 1999, C2 was officially incorporated and opened its first location in June 2000 in Timonium, Maryland. Since then, C2 has been the fastest-growing educational services provider, offering a broad range of programs to meet the remedial, enrichment and test preparation demands of all students from kindergarten through 12th grade. Today, we have over 120 centers and can be found in Georgia, Florida, Illinois Maryland, New Jersey, New York, Pennsylvania, Texas, Virginia, Washington, Oregon, California, North Carolina, Canada, and South Korea. C2’s highly qualified teachers are far more than tutors – they are mentors who help to inspire and motivate their students. To see what sets C2 Education apart, visit the West Portal Grand Opening! For more information about the Grand Opening or upcoming college admissions seminars in your area, please call (800) 777 – 7000 or visit http://www.c2educate.com.